It's common knowledge that some things just need to be cleaned frequently. No one who has ever used a toilet can deny that it needs a good spritz of bleach fairly often! But what about common household things that aren't so obvious? Here are a list of 12 deceivingly germy items that almost everyone has around the house that may not get the attention they need. Door Handles- As hands touch surfaces, they pick up contagions and spread them to other surfaces. Since doorknobs are touched frequently, they are often a carrier of more germs than one would ever think. Clean it! 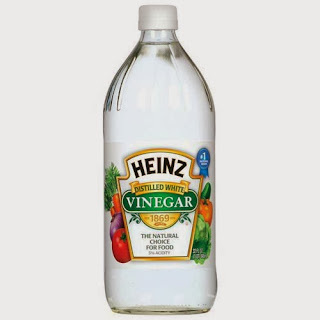 Use an antibacterial disinfecting spray on them every evening, or use a spray of diluted vinegar. Bathtubs- While using soaps while bathing may clean the body, it doesn't have the same effect for the shower and tub itself. Soap scum, germs, bacteria, and viruses easily hide here because it's a place that is hard to remember to clean. Clean it! After every shower, spray the tub with diluted vinegar (but keep it off of grout!). Once a week, use a liquid or spray bathroom cleaner. Try to stay away from abrasive cleaners like Comet that could scratch the fiberglass sub surface. Kitchen sink- After washing dishes, there are tons of little food particles and other germy things sitting around in the sink and pipes, especially in garbage disposals. Clean it! After washing dishes, wipe out and clean the empty sink with the soapy sponge. Clean it just like you would any other dish. Once it's been washed and rinsed, run the garbage disposal with hot water and cleaner or vinegar for a couple of seconds. To get out icky smells, push in a lemon or orange rind to grind up and eliminate odors. Sponges- These are a germ fest! They are often left out while wet, which is a great place for germs to grow. They also have tons of little hiding spots for the germs to live. And since they often come in contact with food particles, it allows for a lot of growth very quickly. Clean it! The easiest way to get rid of these is to put a wet sponge in the microwave and microwave it on high for two minutes. Let it sit for a few minutes before pulling it out so it won't burn! Oven knobs and microwave buttons- Similar to door handles, these see a lot of use and come in contact with a lot of germs from hands. However, an added danger to the buttons in the kitchen is that they have the potential to see a lot of germs from raw foods like chicken and beef, since cooks may use these buttons while their hands are contaminated from raw meats. Clean it! As part of a routine, wipe down these buttons and knobs with a disinfectant or vinegar every evening after cleaning up from dinner. Pillows- They incur a lot of use- at least every night for an extended period of time. Even pillow cases can't protect pillows completely. It's a perfect place for little things to grow and live since pillows are not cleaned often. Clean it! Run pillows in a cycle in the washing machine twice a year. Consider adding a cup of bleach to the load to give it extra germ-killing power. Let pillows air dry and fluff them in the dryer when they are almost completely dry. Toothbrushes- Daily use in the mouth, one of the dirtiest places in the body, can attract a lot of germs. And since toothbrushes are left out to air dry, it creates a perfect environment for growth. Clean it! Soak the toothbrush in vinegar for ten minutes once every other week and rinse, and replace toothbrushes once a month. Bathmat- Another object that is left damp fairly often is the bathmat. And going barefoot in the bathroom can introduce a lot of bacteria and viruses on the mat. Clean it! Launder the bathmat once a week in the washing machine. Add some color safe bleach every once in a while to get it really cleaned. Let it sit out to air dry if there is rubber to protect the bottom and prevent it from cracking. Cellphone- Just like door handles, cell phones come in contact with hands quite often. And let's not even think about the people who use their phone in the bathroom! 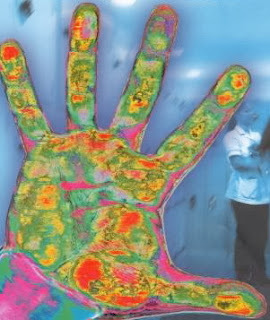 Not only do phones see a lot of hands, they also get pressed up to the face, where germs have easy entry into the body. A study published in the American Journal of Infection Control journal found that 43% of phones tested carried infective organisms on them. (Am J Infect Control. 2010 Jun;38(5):404-5.) Yikes! Clean it! Spray a bit of disinfecting spray on a soft cloth and wipe down the once one every day or every other day. Bags and purses- Think about all the places bags get set down. Shopping carts, bathroom floors, gym lockers, kitchen counters, tables, and pretty much everywhere. They pick up a lot of things from public places that are then sneakily brought into the home. Clean it! Wipe bottoms of bags down with disinfectant, and don't forget about bag handles! TV remote- Another object that sees a lot of action from hands and fingers, many microorganisms collect on the buttons and cracks of the remote. Clean it! While going around and cleaning door handles, take a quick swipe across the TV remote to disinfect and clean it. Water bottles- Since it usually only holds water, it's hard to remember that it needs to be washed frequently. Something that goes repeatedly in the mouth, like a toothbrush, has exposure to germs quite often. Clean it! Run water bottles through a cycle in the dishwasher with every load. Or, soak the lid in vinegar for 30 minutes and rinse in hot water every two to three days, while washing the body of the bottle in hot soapy water.